Right-wing media are jumping at reports that the Affordable Care Act is forcing providers to cut jobs. But Emory says the move has nothing to do with the law. The latest false claim about Obamacare: The ACA is taking away our healthcare jobs -- just look at what’s happening in Atlanta at Emory Healthcare! In interviews Sunday, Emory Healthcare’s CEO and a nurse executive who made the announcement directly contradicted a quote attributed to Vince Dollard, the spokesman who talked to WSB last week. I spoke with Dollard, who read me his notes for his conversation with the station: “We are looking at an uncertain future. The healthcare landscape is uncertain. The ACA is part of that environment. The economy also plays a role.” But WSB quoted him as saying, “In part, the new health-care law President Obama pushed for played a role in the layoffs.” Dollard told me that he was trying to make a more nuanced point than what WSB reported. We’ll get to that in a minute. What about the presentation -- what was really said? I spoke with Emory’s chief nursing executive, Susan Grant. Grant gave the presentation multiple times last Monday and Tuesday, and told me that the words “Obamacare,” “ACA,” and “health reform” never came up, either in her talk or the question-and-answer periods that followed. The layoffs of nurses and other support staff, which will happen in November, are coming entirely out of the in-patient psychiatry program, she told me, which is currently spread over two facilities. Grant says that these changes have nothing to do with Obamacare -- rather, represent Emory trying to respond to patient and community needs. Grant added that she expects Emory’s demand for nurses to continue to grow, and if anything thinks the ACA will contribute to that growth. Many health-care economists agree, noting that increased access to medical care under the ACA and the nation’s aging population are likely to increase demand for health-care workers. An analysis by William Custer, director of the Center for Health Services Research at Georgia State University, found that if Georgia took advantage of the ACA’s Medicaid expansion (which Governor Nathan Deal opposes), the state would generate 70,343 additional jobs contributing $8.2 billion to the state’s economic output. What about Dollard’s statement to WSB that that the ACA was “part” of the reason for the layoffs in Emory’s inpatient psychiatric program? “We would be taking this action even if the ACA hadn’t been passed,” John Fox, the president and CEO of Emory Healthcare, told me. 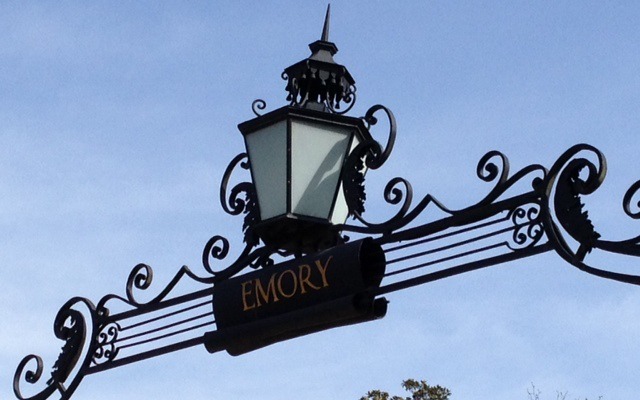 Could the ACA have negative effects at Emory Healthcare? Fox says the new law creates uncertainty -- which is a challenge for Emory, as it is for other hospital systems. The questions that come to his mind about the law include, will consumers be able to use websites set up to find insurance effectively? And how will confusion about delays affect consumers? Health-care executives don’t like uncertainty any more than Wall Street does. It has been part of the background in decisions being made by many major health-care organizations recently. And the Obama Administration isn’t helping with its last minute changes, as I’ve written before. But even though Emory made its decision in an atmosphere of uncertainty that the White House should do a better job of clarifying, claiming that Emory is cutting 101 jobs in its in-patient psychiatry program because of Obamacare is false.